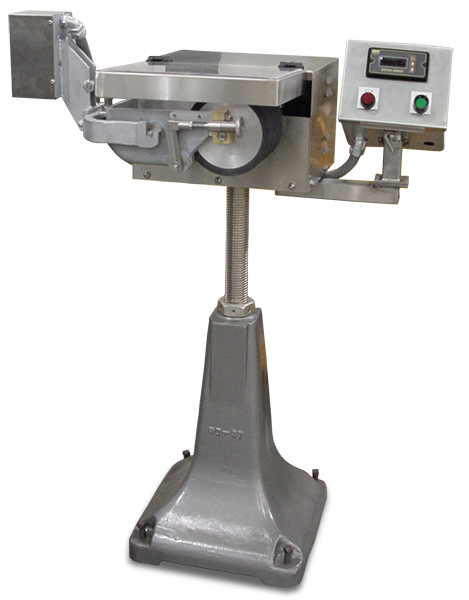 Model 30-1500 Glue Applicator is designed to operate in high speed packaging lines to apply a film of adhesive to the top surface of container finishes so that a sheet liner in the cap will adhere to the finish. The machine is to be mounted against the conveyor between the filler and conveyor. The adhesive roll extends over the conveyor and is sufficiently wide to accommodate a wide range of container finish diameters. The adhesive must be of the cold type. The machine is not suitable for hot melt adhesives. The machine can also be used to apply a film of lubricant or similar substance.